When FuturLab bring a particular project to Gamescom, GDC, E3 et al, the publishers it meets are "highly receptive". At first. "They see the trailer, they see the footage from the prototype and the scope of the game, and it's all thumbs up. They get their hands on it, they have great fun playing it," owner and director James Marsden tells GamesIndustry.biz. "Then they ask the critical question - 'My boss is going to want to know, how many units has the last one sold?' That's where the conversation breaks down, and it's been the case over and over again." In fact, it's been the case for four years now, every time the studio shows off its prototype for Velocity Supernova. 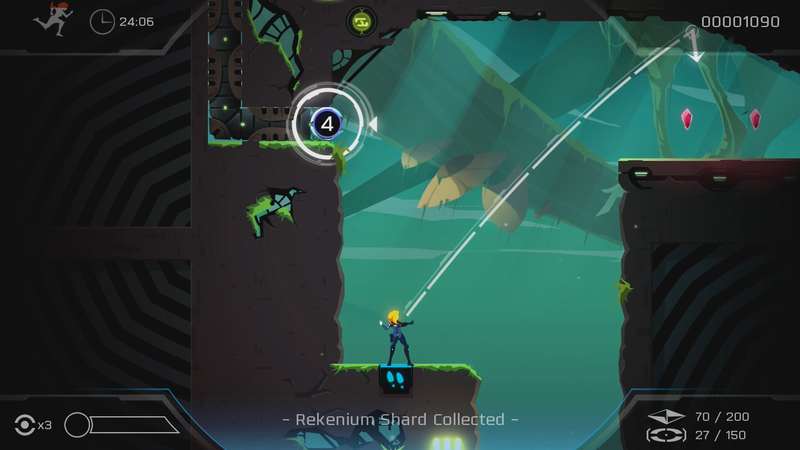 The frustration of this situation came to a head last week when Marsden unleashed a "truth bomb" via Twitter that told Velocity 2X fans any chance of seeing this sequel depends entirely on sales of the upcoming Switch version, handled by Curve Digital. Velocity 2X shot to fame as a free download via PlayStation Plus. Marsden tells us this version, accessible on Vita and PS4, has achieved over 1.5 million downloads - and more than one million of these users have actually played the game. Factor in its predecessor and the franchise has been downloaded over two million times just on PlayStation's platforms. So there's certainly an audience for Velocity Supernova. But free downloads don't equate to sales and publishers more often base decisions on the latter. The project itself further complicates matters as its scale doesn't naturally fit into many publisher portfolios. "The game we want to make is a AA-scale video game, and there aren't many AA publishers out there any more because it's really hard to make money in that space," Marsden says. "There's the boutique publishers who are interested in teams of up to five people with budgets way under £1 million, and there are publishers that, if they're not spending £10 million, it's an opportunity cost that's not worth it. "Velocity Supernova sits in that AA space that a few years ago would have been absolutely fine to be signed, but right now it's difficult"
"Velocity Supernova sits in that AA space that a few years ago would have been absolutely fine to be signed, but right now it's difficult." In an age where any studio can self-publish, even on the historically closed consoles, the lack of publisher support might not seem like the barrier it once was, but Marsden is adamant it's the only way to achieve FuturLab's ambitions for Velocity Supernova. "We've done self-publishing ten times already, and it's difficult," he says. 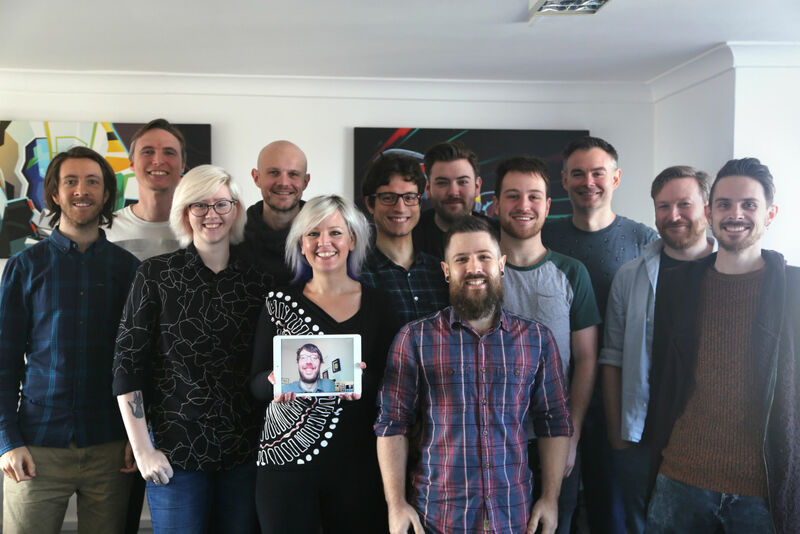 "Publishing is a full-time job that people need to respect in the same way game development is a full-time job - it's an entire different industry with different problems, and we'd much rather be working with people that have that side covered. [Velocity Supernova is] something we can't fund ourselves - and we wouldn't want to try. I think we'd end up killing ourselves trying." Funding is partly the issue here, as Marsden admits the team's vision for the game "requires a decent amount of capital". Surely, then, crowdfunding from the fans that have been so enthusiastic about the possibility of a sequel would be the answer? "We had a crowdfunding consultant come and see us," Marsden says. "We told him the budget, and he just shook his head. Back in the early days of Kickstarter, it might have been a goer. That's why it's sort of the last resort, going to crowdsourcing. That's not to say we won't do it - we are investigating it." "[Velocity Supernova is] something we can't fund ourselves - and we wouldn't want to try. I think we'd end up killing ourselves trying." Development on Velocity Supernova has, to an extent, already begun - although Marsden admits it's not quite at the stage where the studio can "confidently show the public" and thus rally more support. As already mentioned, publishers' hands-on experience with the game has gone well, but he understands the budget is likely a deterrent for publishers. "Maybe if we were asking for less money, it wouldn't be such a big deal," he says. "But the game is in that AA space, so it's a significant [investment] and it's going to be a risk. I guess it's just too much risk for people. "Which I can completely understand. It's been frustrating, obviously, but we're not moaning about it. We've got other projects we're really excited about working on, this is just laying down the facts for Velocity fans: if you want to see another one, it's got to be on the strength of the sales of the Switch version. Unless in the future we can find another way, but it's been four years now we've been trying to get it signed." 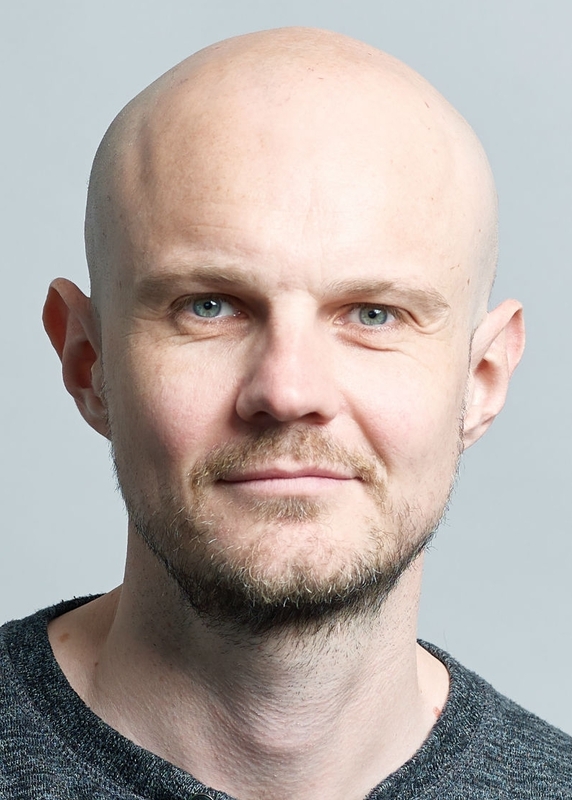 Marsden is, of course, encouraged by the fact that Switch seems to be a promising platform for smaller studios and their games, with numerous indie titles now enjoying more sales on Nintendo's console than all others combined. Even so, is there a danger the facts he laid out on Twitter could be deemed a desperate marketing ploy for the upcoming launch? "Maybe if we were asking for less money, it wouldn't be such a big deal. But the game is in that AA space, so it's a significant [investment]. I guess it's just too much risk for people"
"Well, people can read that if they want, but that's not where it came from," he says. "If in ten years' time, it came out in an interview that there was always a Velocity 3 but we could never get it signed, as a fan I would be annoyed I heard about it ten years' late. I would rather have known at the time, with an opportunity to do something about it. This might be the last time they have to prove to a publisher that it's worth investing in another [Velocity] game. "We showed Velocity Supernova to Curve and they just fell out of their chairs for it, they loved it. But they need to see [sales]... you know, money talks." Marsden also reiterates that he understands the difficulty potential partners face in agreeing to sign the game, stressing that this is not a rant about publishers. "They are just responding to the market," he says. "If they're not seeing the return from that level of risk, who am I to say they should change their plans? I just hope things change organically and naturally so that space comes back." He adds: "Digital is allowing the AA space to grow back again, but it's going to take a while." Unfortunately, even FuturLab's long-running partner PlayStation is unable to help. In fact, a significant factor in Velocity 2X becoming such a hit on Vita to begin with is because the first game caught the attention of a key individual at the platform holder. Velocity was originally self-published as a PlayStation Mini, a range of bite-sized games Sony hoped to use to attract people to the PS3 and PSP. Shahid Ahmad, then head of Strategic Content, found himself playing the game extensively at home and asked what Futurlab planned to do next. Marsden pitched him what was originally called Velocity 2UP: a similar top-down shooter affair, but one where you can get out of your ship and run around. "Before I had the chance to finish the conversation, he basically said, 'signed'," Marsden recalls. "So it wasn't that we decided to grace PlayStation with our opus, it was simply that PlayStation was looking for content and Shahid had really enjoyed Velocity so he wanted to bring the sequel to it." "Publishers are just responding to the market. If they're not seeing the return from that level of risk, who am I to say they should change their plans?" The PlayStation Plus deal was secured, and the relationship between the two continued. Just as FuturLab had been in prime position when Sony was looking for content for PlayStation Vita, so too was the studio available to help bring variety to the platform holder's line-up for Playstation Mobile, PS4 and even PlayStation VR. "We've been fortunate that we've caught every wave of these new hardware cycles - and it worked with PlayStation's portfolio strategy," Marsden says. "They need certain types of titles to fill out their portfolio strategy, whatever that might be. We weren't working with first-party or third-party, we were working with Strategic Content - that's their goal. "At the moment Strategic Content is concentrating on VR, so we are working with Sony on a VR game. Our relationship with Sony is as healthy as it's ever been, but their strategy doesn't cover needing titles that are in the AA space, they're not looking for single-player adventures with cel-shaded and high-speed graphics, which is what Supernova is." Sony did, in fact, approach the studio during development of Velocity 2X with a potential budget for a third title, but by the time FuturLab secured the funds required to make a prototype, "that window of opportunity had closed." But while it hasn't led to Velocity Supernova, that original PlayStation Plus deal has benefitted the studio in a variety of ways, with Marsden adding that: "We wouldn't have the business we have now if it wasn't for that singular deal." "Velocity is our baby. We've been trying for four years to get it signed. If our fans aren't going to rally around it, then we can just draw a line under it, get on with the next thing"
The visibility FuturLab gained from Velocity 2X's success as a free download even put the team in the sights of Disney. Just a week after the game's release, the entertainment giant contacted Marsden and offered a potential partnership as part of the same initiative that led Disney to Dlala Studios. "That wouldn't have happened [without PS Plus]," says Marsden. "But the terms of the deal weren't attractive to us, so we turned it down. It was the biggest IP on the planet we turned down, but I'm really glad we did because when I read that article [on Dlala], I was like 'yeah, that could have been us'." And so the Switch launch approaches, FuturLab's final hope of convincing a publisher to fund and support Velocity Supernova. The fact that the studio is directly reaching out to consumers - "laying down the facts," as Marsden puts it - shows how the relationship between players and industry have changed, potentially giving the former a chance to directly influence the latter. Marsden suggests this has always been the case, but acknowledges that it's easier than ever for developers to tap into this added public support - albeit only from the most devoted of fans. "Different gamers have different conscientiousness about the industry they're partaking in," he says. "Some players understand that if you want to see more from a particular outfit, you've got to support their work, you've got to put your money where your mouth is. There are others that are completely oblivious, they think that content just falls out of the sky. "Social media allows you to put more fine a point on it. Maybe that's why [my thread] caused such a storm, because people don't talk like this. A couple of developer friends have said, 'I wish I had the same grit' - because it's bloody risky, I'll be honest. It could have backfired in a horrible way, but fortunately it didn't. We know our fans pretty well, we've been talking to them constantly for nearly a decade, and I thought this would be in keeping with the honest way we treat them. "Velocity is our baby. We've been trying for four years to get it signed. If our fans aren't going to rally around it, then we can just draw a line under it, get on with the next thing."